An important new book offering a vision of commons-based law has just arrived! The Ecology of Law argues that we need to reconceptualise law itself and formally recognise commoning if we are going to address our many environmental problems. 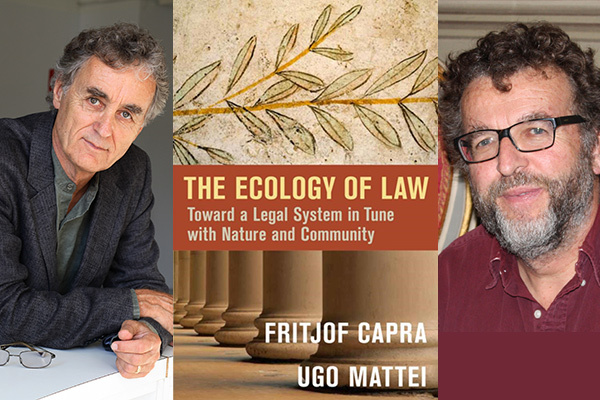 The Ecology of Law: Toward a Legal System in Tune with Nature and Community is the work of two of the more venturesome minds in science and law – Fritjof Capra and Ugo Mattei, respectively. Capra is a physicist and systems thinker who first gained international attention in 1975 with his book The Tao of Physics, which drew linkages between modern physics and Eastern mysticism. Mattei is a well-known legal theorist of the commons, international law scholar and commons activist in Italy who teaches at Hastings College of the Law in San Francisco, and at the University of Turin. He is also deputy mayor of Ch­ieri in the northern region of Italy. The Law of Ecology is an ambitious, big-picture account of the history of law as an artefact of the scientific, mechanical worldview – a legacy that we must transcend if we are to overcome many contemporary problems, particularly ecological disaster. The book argues that modernity as a template of thought is a serious root problem in today’s world. Among other things, it privileges the individual as supreme agent despite the harm to the collective good and ecological stability. Modernity also sees the world as governed by simplistic, observable cause-and-effect, mechanical relationships, ignoring the more subtle dimensions of life such as subjectivity, caring and meaning. As a corrective, Capra and Mattei propose a new body of commons-based institutions recognised by law (which itself will have a different character than conventional state law). It’s quite a treat to watch two sophisticated dissenters outline their vision of a world based on commoning and protected by a new species of “ecolaw.” Capra and Mattei start their story by sketching important parallels between natural science and jurisprudence over the course of history. Both science and law, for example, reflect shared conceptualisations of humans and nature. We still live in the cosmological world articulated by John Locke, Francis Bacon, Rene Descartes, Hugo Grotius and Thomas Hobbes, all of whom saw the world as a rational, empirically knowable order governed by atomistic individuals and mechanical principles. This worldview continues to prevail in economics, social sciences, public policy and law. The audacity of The Ecology of Law is its claim to explain the pathologies of modernity as they affect life today: how this worldview prevents us from effectively addressing our many ecological catastrophes, and how jurisprudence as now conceived is a key element of this problem. Modernity is based on the sanctity of private property and state sovereignty, write Capra and Mattei, an order that presumes to be an “objective,” natural representation of reality. Distinctions such as “private” and “public,” and “individual” and “collective,” are also presumed to be self-evident descriptions of reality. For those of us involved with the commons, of course, we know that this is a highly reductionist and misleading way of understanding the world. Commoning proposes more integrated categories for understanding how human beings function in the world. In actual experience, individuals are nested within collectives, and they develop and flourish as individuals only in cooperating with others. Similarly, subjective experience and objective fact are not isolated; they blur together. The either/or divisions of modernity are a kind of consensual social fiction. Law in modern societies is one of the most important tools for affirming (misleading) categories of thought. For example, law presumes that if there is no external limit imposed on an individual citizen, each is free to act as a “rational actor” to extract as much from nature as he/she wishes. 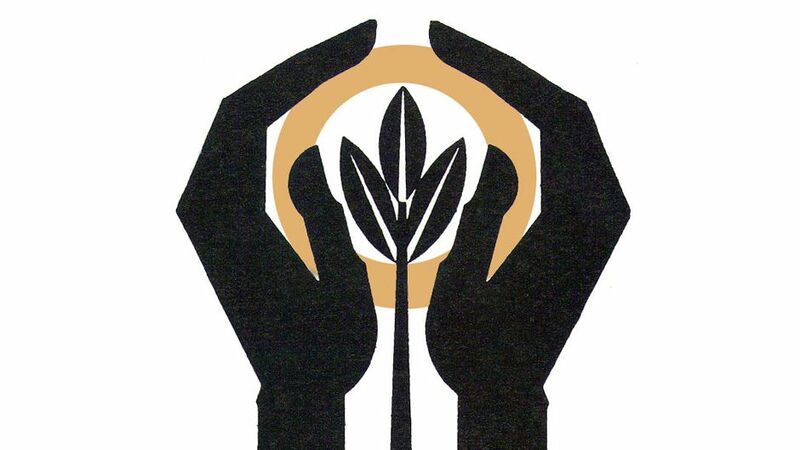 This is presumed to improve upon nature, create value and advance human progress – a social DNA that has run amok and is destroying the planet. In the worldview of modernity, individuals are imagined as the primary agents of change, and as isolated agents without history, social commitments or context. This gives individuals permission to be as self-regarding and hedonistic as they wish, a dangerous capitalist-libertarian delusion that continues to hold deep sway. Imagining a post-capitalist future, then, is not simply about passing a new law or instituting a new set of policies. It requires that we confront our deep assumptions about worldview. What we need, Capra and Mattei argue, is a major paradigm shift in the worldview of science and law that reflects a different understanding of nature and human beings. We need to shift from a paradigm that sees the world as a machine, to a systemic, ecological paradigm that sees the world as a network of interdependencies. We need to see that law is not something that exists independently “out there” as an objective reality. It is a socially constructed order; a power that we must reclaim. “Law is always a process of commoning,” Capra and Mattei write, reminding us that law emerges from communities of commoners. This insight can help us build a new “ecolegal order” with three strategic objectives, they argue: to disconnect law from power and violence (the nation-state); to make communities sovereign; and to make ownership generative. The most important structural solution to the rush toward final disorder is to restore some harmony between human laws and the laws of nature by giving law back to networks of communities. If the people were to understand the nature of law as an evolv­ing common, reflecting local conditions and fundamental needs, they would care about it. People would understand that the law is too important to remain in the hands of organized corporate interests. We are the makers and users of the law. An ecological understanding of law, the only revolution possible through culture and genuine civic engagement, overcomes both hierarchy and competition as “correct” narratives of the le­gal order. It seeks to capture the complex relationships among the parts and the whole—between individual entitlements, duties, rights, power, and the law—by using the metaphor of the network and of the open community sharing a purpose. Instead of being alienated from the law governing them, the participants in [commons] are their own law-givers and enforcers; they stand outside of any power concentration and or any claim of monopoly over violence. They overcome the artificial distinction between a private and a public sphere of their lives. Interpretation of law is here a nonprofessional exercise in the sharing of collective meaning. Law, when it is separated from depending on power and violence, is like language, culture, or the arts: it becomes a way through which a collectivity communicates and decides about itself. *David Bollier is an author, activist, blogger and independent scholar who writes about the commons as a new paradigm of economics, politics and culture. He is co-founder of the Commons Strategies Group, a consulting project that assists the international commons movement; and co-director of the Commons Law Project, which is seeking to regenerate the legal traditions for protecting the commons. Bollier is also Editor at the Institute for Data-Driven Design, ID3, a Boston-based research nonprofit that is helping design new digital institutions to let people assert greater control over their data, online identities and authentication.